Hex Signs of PA Dutch! Take a road trip through Berks, Dauphin, York, and Lancaster Counties in PA and you are sure to see some Hex signs decorating the local barns. But what are they? Where do they come from? It's a pretty good bet that hex signs originated sometime in the mid-to-late 1800's in rural Pennsylvania. We know this is likely because the availability of colored paints was limited prior to this point in time. The earliest examples were probably simple rosettes, as they would have been the easiest to paint; most especially while balancing precariously on a ladder with paint bucket and brush in hand! As time went on, the designs became more and more elaborate and colorful. But the important thing to note here is that they were just decoration. Here is an interesting site that presents one theory as to the origin of some of the more common hex sign symbols, like the rosette. We can thank the tourist trade of the mid-1900's for falling in love with the quaint barn paintings of the Pennsylvania Dutch. Speculation about their 'meanings' grew and eventually the locals jumped on the bandwagon and started creating hex signs for things like 'luck' or 'faith'; and the sale of hex signs to the tourists is still a booming business today. "A large portion of all the geometric designs found on Pennsylvania Dutch barns can be traced to some form of star, or as they would say in the dialect, Schtanna. Starting with the simple unadorned five-pointed star without a circular border, and ranging to sixteen-pointed stars, double and triple star patterns, the careful observer will not numberous decorations in which the star is a basic part of the design thought it is not obvious at a casual glance." -Hex Signs and Other Barn Decorations, 1965, Elmer Smith (Lancaster, PA). Above image captured from Hex Signs and Other Barn Decorations (1965) drawn by Mel Horst. The caption reads: "The pentogram design has the Greek inscriptions meaning "good for the health" or "wholesome". This design, with five points, is often confused with the six-pointed hexogram which has been worn by peoples in various areas of the world as a protection against attacks from foes and against injury. According to E. Wallis Budge, this same design has been found on early Sumarian pottery." 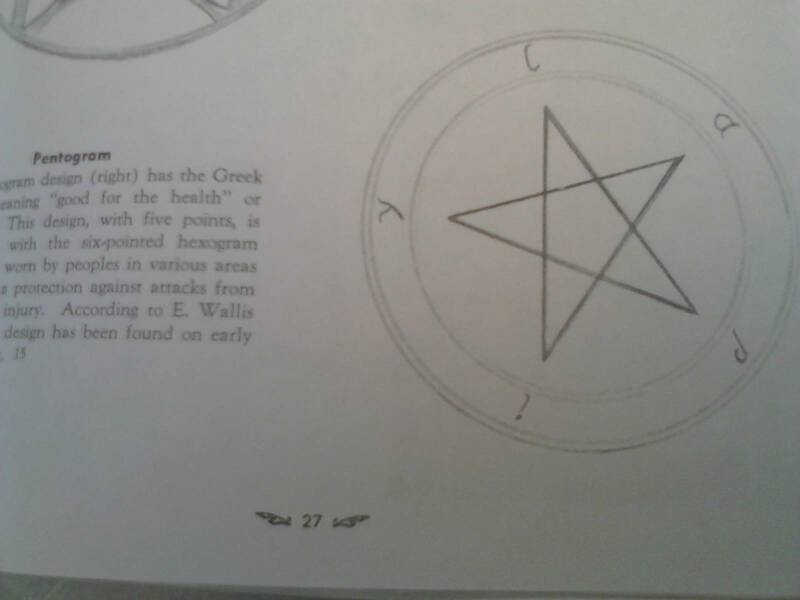 From Hex Signs by Ivan Hoyt, Stackpole Books, 2008..
"In recent years, meanings have been assigned to many of the hex sign motifs. When attempting to interpret a sign's symbolism, look at the combinations of motifs; one motif alone does not define a hex sign's meaning. The symbolisms here are offered only for your consideration. 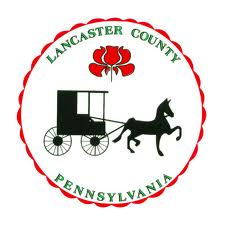 You may feel, as some also do, that hex signs are "Chust fer nice" or "Chust fer so"---simply meant to be a decorative part of Pennsylvania Dutch folklore and culture. 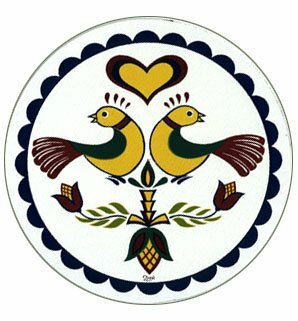 One of the most well-known Pennsylvania Dutch motifs is the distlefink, a stylized bird that can have many different interpretations. Although it can take on features of other bird species, the distelfink design is said to have evolved from the goldfinch. The Pennsylvania Dutch farmer saw the godfinch bird on the thistle weeds in his field, pulling the down or fuzz from the thistle to line its nest and eating the seed. Notably, goldfinches usually wait to nest until the thistles are in bloom . The Pennsylvania Dutch farmer called the bird a "thistle finch" or distlefink. The bird became a recognized symbol of good fortune by eliminating the thistle as a weed in the fields, thus bringing the farmer better luck with his crops and more profit to his pocket. The distelfink is not always rendered in the balck, yellow, and white of a goldfinch, and this is also explained in a popular PA Dutch anecdote. When asked why distelfinks are so varied and colorful, a Pennsylvania Dutchman will tell you that God made the distelfink with the leftover colors oafter he made all the other bird species. The symbolism attributed to animal motifs is generally linked to the nature of the animal depicted. For example, cows on a sign symbolize contentment, sheep peace and serenity, horses strength and stamina, and roosters fertility. Plants also have been assigned symbolism that is often based on their natural attributes. Oak leaves represent the strength of this mighty hardwood species, and acords, the seeds of the oak, symbolize a rebirth or new beginning. Maple leaves represent peace and serenity. The pomegranate motif in the PA Dutch culture is said to represent abundance and fertility because of the many seeds it contains. The symbolism of trilogy tulips is based on their three petals. They are said to symbolize faith in yourself, faith in your fellow man, and faith in what you do. Sometimes they are given a more religious interpretation, meaning God the Father, Son, and Holy Spirit. Others over time have said they represent faith, hope, and charity. Other floral motifs have been given religious interpreatations as well. The doube rosette appearing within a design represents the blossoming tulip as the Lord looks down on it from the heavens above. Its twelve petals symbolize that you will in the grace of God for the twelve months of the year. Nature figures predominantly in hex signs. The Sunshine and Raindrops pattern may be interpreted as a fertility symbol. Its red and yellow eight-pointed star represents the warmth and energy provided by the sun, and the blue water drops symbolize the life-sustaining moisture of the rain. The sun and the rain brought together as symbols represent abundance and fertility. Hearts are a universal symbol of love, romance, and marriage. The borders are also said to have meanings. A scalloped border, with its wavy up and down quality, is said to indicate smooth sailing on the sea of life. The smooth ring border and the eternal chain both represent long life; they are never broken, so your life should never end. 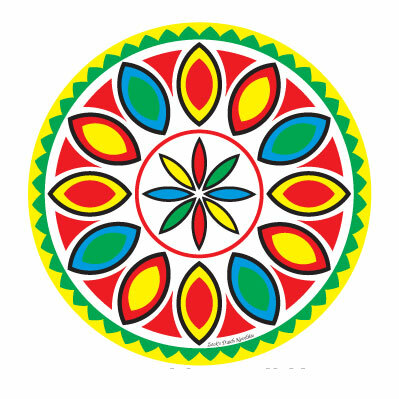 The most authoritative and accurate information can be found in Hex Signs: Pennsylvnaia Dutch Barn Symbols and Their Meaning, by Don Yoder and Thomas E. Graves. The authors point out that whatever meanings have been attributed to hex signs, they have also become powerful symbols of PA Dutch ethnic identity, recognized by the tourist as well as the Dutch. As such, they are widely used to advertise Dutch food and other products." Here are a few examples of the types of hex signs you will see to this day decorating barns and homes in PA Dutch country, and their modern talismanic meanings are provided as well. This information is purely for fun, and no guarantee of the effects of using these signs for anything other than decoration is intended. The Triple Star is for good luck, happiness, and success in all endeavors. The Rain Hex is for, you guessed it, the blessing of rain on the crops. The Sun, Rain, and Lucky Star Hex is for general blessings of wealth and prosperity. The Double Trinity Hex. Brings hope, faith and love to the family. Success Hex. For wealth, success, and happiness. Eight Pointed Star Hex for abundance and goodwill. Distelfink. Good luck and love for your fellow man. 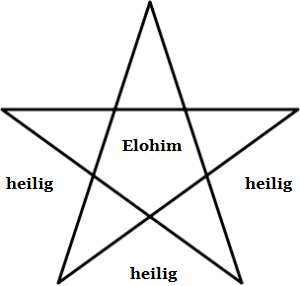 HERE IS A NICE WEBSITE that gives more explanations of the meanings and symbols.